Vivo today announced their partnership with the world’s leading mobile game- PlayerUnknown's Battlegrounds Mobile (PUBG MOBILE) by Tencent Games and PUBG Corporation as the title sponsor of the upcoming PUBG MOBILE Club Open 2019, one of the biggest mobile gaming tournament in the world. 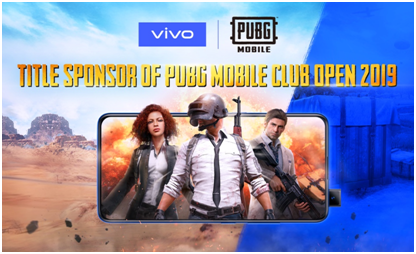 Vivo will provide the official smartphones for the PUBG MOBILE Club Open 2019, where players from ten regions across the globe will be competing to battle their way through the Spring & Fall Split, for the total prize pool of $2.5M USD. This global partnership reinforces Vivo’s commitment to bringing an ultra-smooth gaming experience to connect with consumers through meaningful partnerships. Vivo thrives to be at the forefront of the eSports industry to best serve its consumers. The partnership with PUBG MOBILE is a key milestone especially given that it is a leading mobile game developed by Tencent Games and PUBG Corporation with 200 million fans per download excluding China, Korea, and Japan. As one of the biggest mobile gaming tournaments in the world, PUBG MOBILE Club Open 2019 is a strong opportunity to showcase Vivo’s vision of ‘enjoying the extraordinary’ by bringing global players a true gaming experience like no other. This global partnership will unfold and strengthen Vivo’s position in being an innovative and stylish brand that always puts our consumer experience first.